While taking a scenic ride along the ocean on the old highway, you may have noticed a lovely white house with a wraparound porch and flags blowing in the breeze. 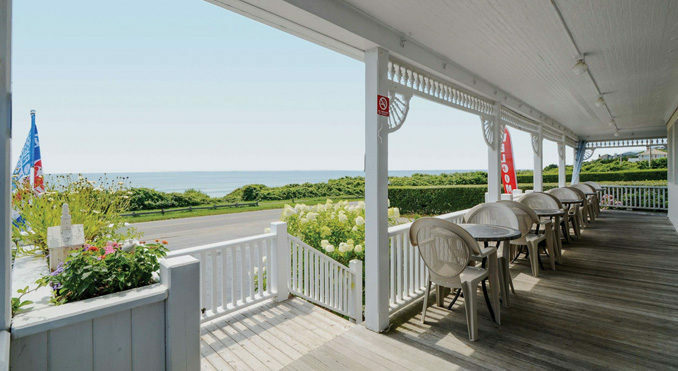 Complete with blue umbrellas on the side deck and full windows welcoming the view in, this long-time Montauk inn and eatery is- Surfside Inn, a Country Inn and Restaurant. One of the best, quiet get-a-ways in Montauk, they offer a hassle free scenic setting for dining on top-shelf cuisine. Overlooking the Atlantic, watching the moon rise, while listening to the waves roll in; this is one of my favorite place to relax and escape from the business of town. Long time Chef Juan Brufau, who has returned each of the past twelve seasons from his winter restaurant in Palm Beach, continues to create a deliciously fresh menu as well as creative locally sourced nightly specials. The evening of our review was no exception. Greeted by our waiter Devon, we were off to a great start with a table on the porch offering their tranquil ocean view. The comfortable inside bar is welcoming and serves up quite a complete list of specialty Martinis among other treats like Sangria, Planters Punch and even a Surfside’s Sunburst. Our choices, the Cucumber Martini, Planters Punch ad Toasted coconut Martini were tasty and refreshing. The eclectic menu caters to many palates, offering land and sea dishes sure to satisfy all members of a party. In the past, we’ve experienced firsthand the fresh goodness of some of the appetizers: the Asian Dumplings, the Lightly Battered Crisp Calamari, and whole Clams Surfside. In addition, we’ve really enjoyed the Savanah Style Shrimp with the creamiest cheddar cheese grits, Sauteed Shrimp & Capellini, The Boneless Rib Eye, Pork Chop, Roasted LI boneless Duck, and especially the Mango Chipotle Glazed BBQ Baby Back Ribs. Every meal is always made fresh with generous portions and full of delicious flavors. So this time Chef Juan and Devon decided on a nice sampling from the evening’s specials. To start, we had Chopped Stuffed Clams and the Lobster Cake. The Clams were prepared with Andouille sausage and were full of clams and vibrant flavors. While the Lobster Cake was gently pan fried and had a soft, creamy center- also quite delicious. Relaxing and enjoying our view over a bottle of wine, from their complete wine list, we were presented with the main course: Grilled Scallops, Short Ribs, Lamb Chops, and Halibut. Perfectly grilled tender Scallops, resting on a bed of yellow saffron rice with fresh crab meat accompanied by asparagus spears and drizzled with a balsamic reduction were excellent. Also tender to the fork, the thick piece of Halibut was moist and evenly cooked through and topped with fresh blueberries and raspberries with fresh green beans alongside, all laced with a light berry beurre blanc sauce. Such an unusual yet delightful presentation and taste. Not to be outdone by the sea, the butterflied grilled Lamb Chops served with mashed red potatoes, homemade mint jelly and broiled tomato and pepper doos, and presented with a sprig of mint made the dish almost too perfect to eat. Yet we did, and oh what a treat. Cooked perfectly and paired with the fresh mint jelly that was actually less jelly and more a sauce, this was an outstanding dish. Braised and cooked tender Short Ribs with a light demi glaze that only accentuated the natural beef flavor, were presented with fresh rosemary, crisp yet tender beans and the mashed red potatoes; yet another delicious creation. Gazing at the rising moon with a light summer breeze off the water, we order a few cappuccinos while savoring the flavors of a most satisfying meal. Since many of the desserts are also created by Chef Juan, we weren’t going to get away without sampling a few. Mocha ice cream formed into a layered cake with chocolate crunchies and I’m not sure what else, make his Mud Pie creamy and quite decadent. If Crème Brule is on your list, this is the lightest crème with a gently caramelized top-memorable. It just so happens that the night we were there was national tequila day- so what better than a Tequila Key Lime Tart. The homemade graham cracker crust with a hint of cinnamon and dense key lime filling was deliciously tart. And a special dessert of the evening was fluffy Cheesecake with fresh strawberries and blueberries in a light graham cracker crust. Each one was a treat, and they offer gelato as well in case you want anything a la mode. 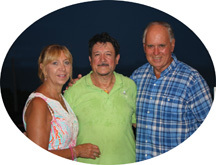 Surfside Inn & Restaurant is a family owned business for thirty four years. Prior to the 1980’s it operated as a Hotel & Restaurant under the names Surf & Sand and The Anzac House. During World War II the premises was occupied by the Coast Guard officers, as their billets, during their service. The present owners have taken the history and tradition of the premises to heart and operate the Inn and Restaurant with the motto, “MONTAUK THE WAY IT USED TO BE”. 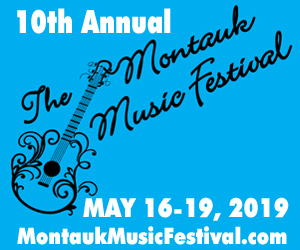 A beautiful location, outstanding food and a bit of Montauk history- check out their web site https://www.surfsideinnmontauk.com/ , or just stop by and enjoy. They are open for dinner every day except Wednesday, with music by Mike Dann Thursday through Sunday, and serve Brunch on Sunday.